DPR Motorsport’s own hire car is now running in the 2012 Supersport specification and has completed successful testing at the Donington and Rockingham race circuits. The engine upgrade combined with the new limited slip differential provides a new challenge at the top of the Ford Sigma powered Caterham grids. 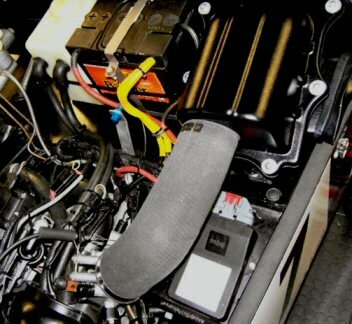 The Caterham Supersport 2012 upgrade provides a power increase to the Ford Sigma engine through more race focused cams together with a bespoke Caterham ECU map. A further benefit is provided by the new cold intake system derived from the Caterham Superlight R300. This should provide a significant on-track power boost particularly during slip-streaming in hot ambient, as the induction will no longer be reliant on a hot under bonnet air supply. The driving experience is further enhanced by the fitting of a limited slip differential which will help increase drive out of the corners which will be most noticeable during wet conditions.